Part of FCC Allenwood facilities including:USP Allenwood, FCI Allenwood Medium and FCI Allenwood Low. 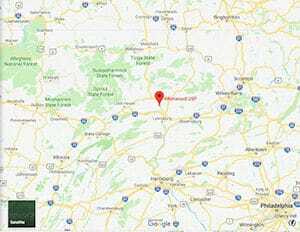 Location: USP Allenwood is located 197 miles north of Washington, DC; 11 miles south of Williamsport, PA; 2 miles north of Allenwood, on U.S. Route 15. Background: USP Allenwood is part of the Allenwood Federal Correctional Complex (FCC), which opened in 1993. It houses a Special Management Unit (SMU), a multi-level program to teach self-discipline, pro-social values, and the ability to successfully coexist with members of other geographical, cultural, and religious backgrounds. SMU’s are restrictive programs used to house and control inmates who have shown to be management programs. Notable inmates include Howard Mason (serving a life sentence for racketeering charges and ordering the murder of a New York City police officer), former acting boss of the Lucchese crime family Louis Daidone (serving a life sentence for murder, murder conspiracy, racketeering, and loansharking), Somali pirate leader Mohamud Salad Ali (serving a life sentence for hijacking a civilian yacht), former physician Jorge A. Martinez (serving a life sentence for health care fraud), and James Eagan Holmes (serving 12 life terms for the 2012 Aurora, Colorado shooting). Health Services: All inmates entering USP Allenwood must schedule a mandatory, complete physical examination within 14 days of arrival. This examination may include laboratory studies, hearing and sight screening, dental examination, medical history, and physical examination. Sick call, dental call, physical examinations, annual immunizations/screenings, health promotion/disease prevention, and medications are provided to inmates. While emergency medical care is available 24 hours a day, inmates must submit a sick call form for non-emergency care. Psychology Services: USP Allenwood provides psychological, psycho-educational, and consultative services to inmates. Psychologists conduct psychological assessments for new inmates and address their needs through crisis intervention services and other therapeutic approaches. SMU inmates are required to participate in, and complete, a psychoeducational group on Social/Communication Skills. Elective counseling groups, including Relapse Prevention, Emotion Management, Problem-Solving, Coping Skills, and related psycho educational topics are also offered. The Challenge Program is also available for inmates who are prone to substance abuse, mental illness, and violence. Residential Drug Abuse Program (RDAP): USP Allenwood does not house a Residential Drug Abuse Program (RDAP), however RDAP is offered at FCI Allenwood Medium. USP Allenwood does offer a Drug Abuse Education program, the Non-Residential Drug Abuse Program (NR-DAP), Alcoholics Anonymous (AA), and Narcotics Anonymous (NA). Education Services: USP Allenwood offers literacy, GED (in English and Spanish languages), and the English-as-a-Second Language (ESL) programs. Classes are separated into Advanced GED, GED, pre-GED, and Special Learning Needs levels. A parenting program and Adult Continuing Education (ACE) classes are also available. High school diplomas and post-secondary programs are available through paid correspondence programs. Advanced Occupational Education: USP Allenwood does not offer any advanced occupational education programs. Vocational Training: USP Allenwood offers vocational training in Computer Word Processing and Computer Assisted Drafting, and the IC3 Internet Computing Core Certification. Apprenticeship: USP Allenwood offers apprenticeships in Cook, Quality Control Technician, and Upholsterer. Library Services: A law and leisure library are available to inmates at USP Allenwood. The TRULINCS Electronic Law Library includes an extensive range of information on federal legislative and case law, including the Federal Bureau of Prison’s program statements. Electric typewriters are available in the Library Research Center for inmate legal work. Inmates must provide the materials to utilize the electric typewriters (e.g., print wheel, ribbon, correction tape, paper, etc.). The leisure library offers fiction and nonfiction books, newspapers, and magazines. UNICOR: The USP Allenwood UNICOR facility produces office furniture. Commissary: USP Allenwood inmates are permitted to spend up to a specific dollar amount each month for regular purchases (i.e., $360.00), and an additional amount for special purchase items. SMU inmates are restricted to a $50.00 per week spending limit, excluding postage stamps and sneakers. Inmates are responsible for knowing the amount of money available in his account. An inmate’s Unit Manager can approve withdrawals from the trust fund account to send funds to dependents and other family members, or for the purchase of flowers, payment of telephone and postage costs, etc. Recreation Services: USP Allenwood’s Recreation Department consists of both indoor and outdoor areas. Activities range from individualized arts and crafts programs to intramural team sports such as softball, basketball, and volleyball. Physical fitness and weight reduction programs are also available. Musical Instruments and Hobbycraft programs are also available for inmates. Inmates in the Special Management Unit (SMU) are offered a minimum of five hours of recreation per week. The Recreation Department at USP Allenwood is responsible for supplying the SMU with recreation equipment including games and fitness items. Inside the unit, board games and playing cards, abdominal benches, and other various exercise equipment are available. The outside recreation area consists of abdominal benches and other areas for inmate recreation.